Unsubsidised solar and onshore wind are now the cheapest source of new bulk power in all major economies except Japan thanks to falling technology costs. 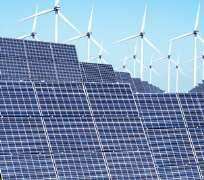 That’s the findings of a new report by Bloomberg New Energy Finance, which examines the levelized cost of electricity (LCOE) worldwide of different power generating and energy storage technologies, excluding subsidies. The report finds that in the Asia-Pacific, more expensive gas imports mean that new-build combined-cycle gas plants with a levelized cost of $70-117/MWh continue to be less competitive than new coal-fired power at $59-81/MWh. “This remains a major hurdle for reducing the carbon intensity of electricity generation in this part of the world,” it notes. In terms of energy storage, BNEF states that short-duration batteries are now the cheapest source of new fast-response and peaking capacity in all major economies except the US, “where cheap gas gives peaker gas plants an edge”. As electric vehicle manufacturing ramps-up, battery costs are set to drop another 66 per cent by 2030, according to BNEF’s analysis. This, in turn, means cheaper battery storage for the power sector, lowering the cost of peak power and flexible capacity to levels never reached before by conventional fossil-fuel peaking plants. The report highlights that batteries co-located with PV or wind are becoming more common and the analysis suggests that new-build solar and wind paired with four-hour battery storage systems “can already be cost competitive, without subsidy, as a source of dispatchable generation compared with new coal and new gas plants in Australia and India”.